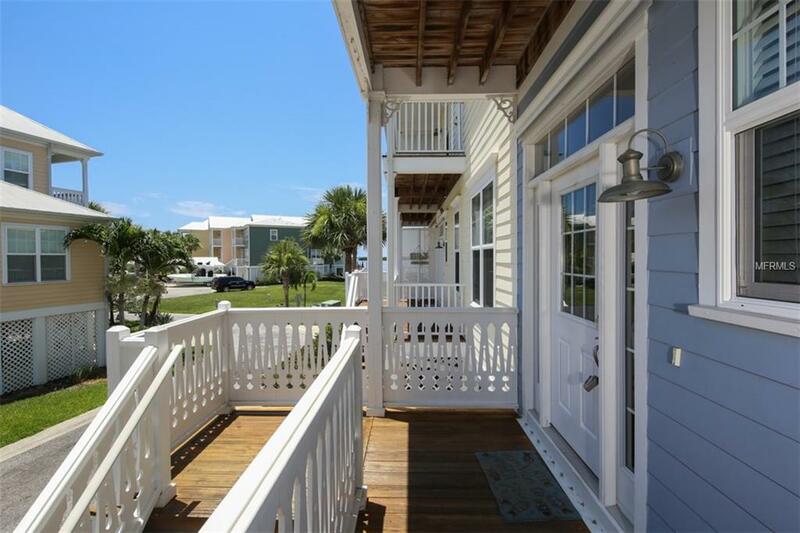 70 FEET OF DEEDED DOCKAGE included with the purchase of this 4-bedroom, 3 bath waterfront town home in The Angler's Club. 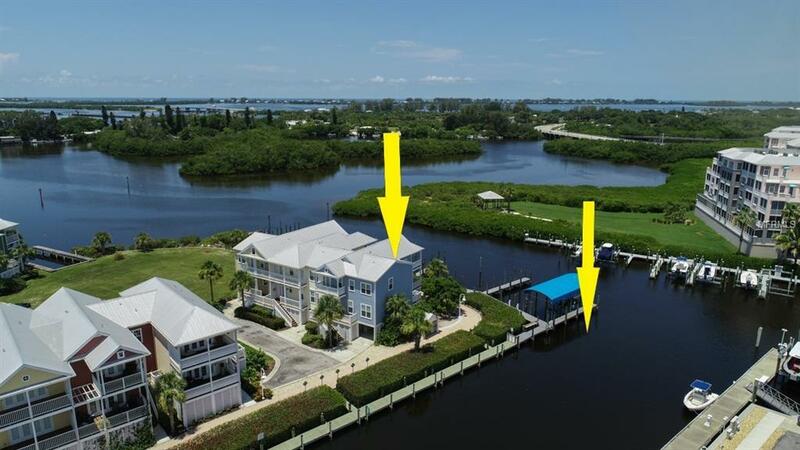 This end unit has panoramic views of Gasparilla Sound, The Coral Creek and the ICW from both of its porches! With 2400 sq ft under air and another 600 sq ft of decks, this property has it all. 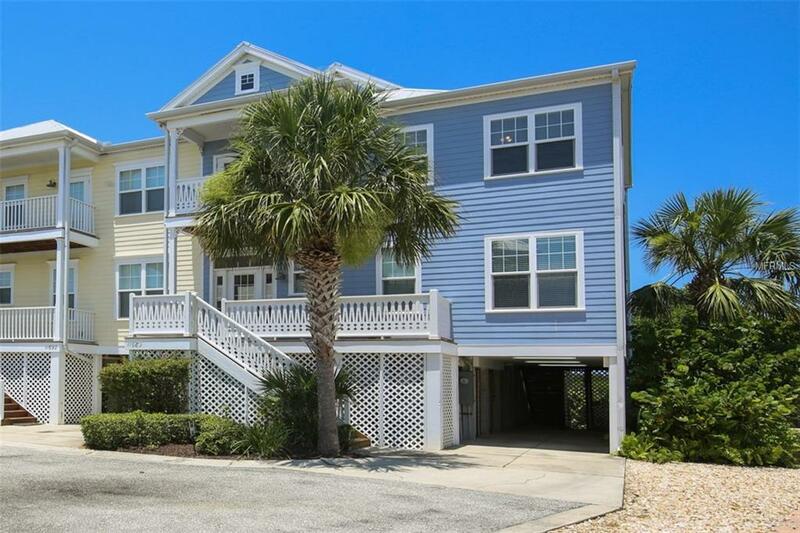 Filled with lots of sunlight, enjoy the granite kitchen and baths, 10ft ceilings on the first floor and 9ft ceilings on the second floor which offers plenty of room for family and guests. The exterior is low maintenance with Hardie-plank siding, impact resistant windows and doors and a metal roof. The first level includes covered parking for two cars and large locked storage area. Keep an eye on your yacht parked steps from this town home in 70ft of deeded deep-water dockage with private water and electric hook up. Conveniently located adjacent to Gasparilla Marina, a full-service marina with fuel, mechanics, ships store and restaurant. Also included is a poolside cabana # 113 to hold pool toys and drinks or snacks! 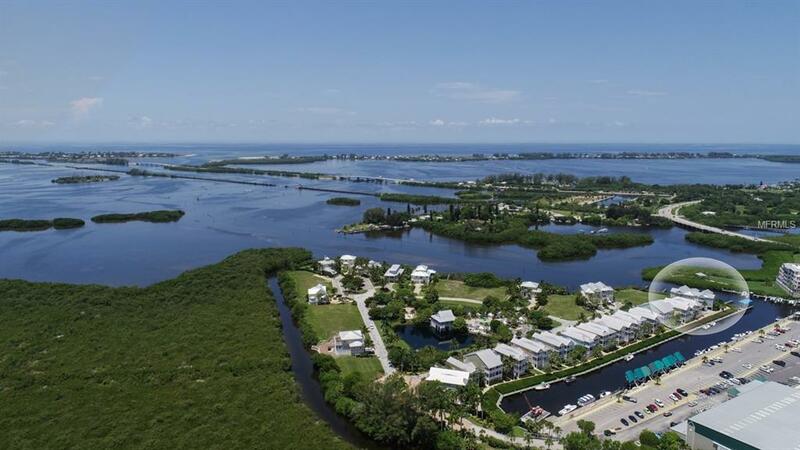 Boca Grande is located a short boat or car ride away offering world class fishing, beaches, restaurants and shopping! The 7 mile Pioneer Trail is close by for walking, jogging or biking!